There’s two types of growth, horizontal growth, and vertical growth. Horizontal growth is the growth we most typically think of. More customers, more employees, more locations. Vertical growth, however, comes in many forms, from offering new services, to breaching a new clientele to transitioning your existing clients to more profitable treatments. Enough of the more technical stuff. 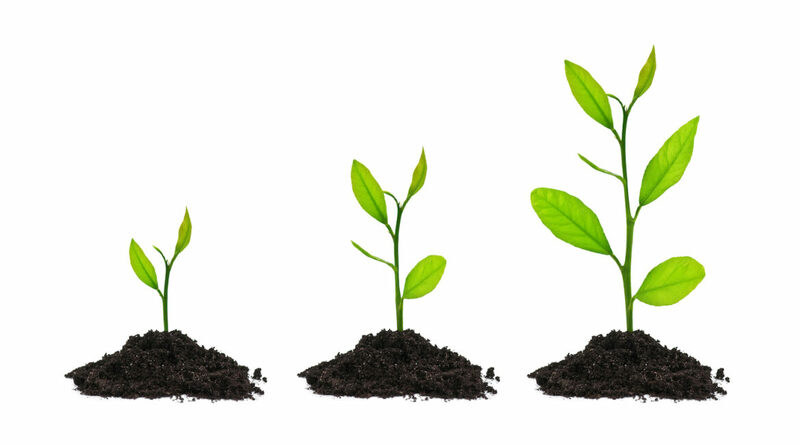 At the end of the day, you want your business to grow! Here are three tips that’ll help you achieve growth instantly! When you’re trying to lose weight, step one is often to muster up the courage to step on the scales. Keeping track of your achievements is a great way to stay motivated to keep at it. You can do the same with your business, but to do that you need data! Fire up your EMR system and generate some reports that allow you to analyze several facets of your clinic. How much do you make each month? Now let’s break that down, what and from who does that money primarily come from? Are you happy with the answer to those questions? If you’re not, start thinking of changes you can implement to tweak these numbers closer to where you want them. At the end of the day, no matter how good your marketing is, you’re only as popular as you are good. A few bad reviews and you can kiss your stellar reputation goodbye. It’s time to get your things in order! But what’s the best way to go about that? We recommend professionalizing your workflow. For everyone, that means something slightly different. However, in our experience, many doctors never really sat down to analyze how they work. Which means you haven’t made a commitment to consistency yet. Your skills on the needle might be exquisite, but having a consistent workflow allows you to minimize mistakes and really focus on the client. So for this exercise, think about how you work from the moment someone makes an appointment to the moment you wish them farewell. What is step one? Step five? Step ten? Are you satisfied with these steps? Is their order sound? And can you be doing something to improve matters? From your analysis earlier, is there any part of your clinic you find lacking, that you could enhance by adapting your workflow? When you’re satisfied with your new ideas, record them somewhere like an electronic medical record system to allow you to follow them consistently! Things are running now. You might have noticed we didn’t mention marketing, because marketing and its success is a very personal process. However, assuming your marketing is working, you get a few new clients. Now it’s important your inbound marketing is solid. Do you send reminders every once in a while for your patients to come back for the best results? Do you ask them for a review and if they enjoyed their stay? If you don’t do that yet, consider starting. The feedback you might get will be worth its weight in gold. Set this up completely automated in your EMR, and it won’t cost you an extra second either! It’s free feedback that can be converted directly into growth. End of the day, growth isn’t a solid concept. You won’t magically have more customers because you hired an extra doctor. And for those additional customers that join your business, a doctor won’t magically show up. Upscaling happens naturally, and it’s great! However, to do it in a controlled fashion you need information. Knowledge is key, and acting on that knowledge will give you an edge and allow you to stand out from your competition. Good luck and we’ll see you all on the next blog!